Our goal is to make sure that your pet is as comfortable as possible during their stay with us, especially during a stressful event such as surgery. We keep them in a quiet environment and they are constantly supervised before, during and after their surgery. We use the most up-to-date anesthetic and pain management protocols and every surgery has a dedicated nurse assigned to them. 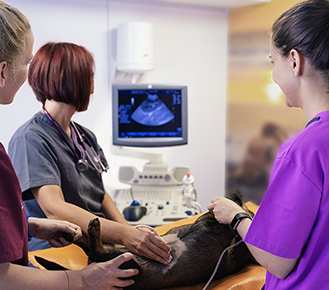 Prior to your pet’s surgical procedure, an intravenous catheter will be placed to help maintain it’s blood pressure and to give us ready access to provide medications as needed to ensure a safe anesthetic event.